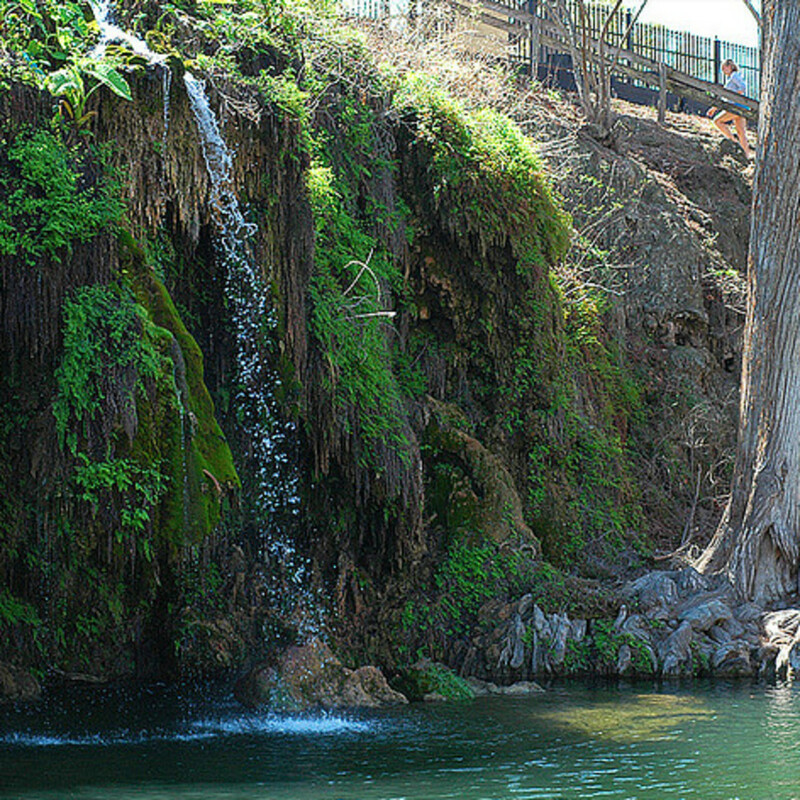 Krause Springs is a privately owned swimming hole in Spicewood, Texas. 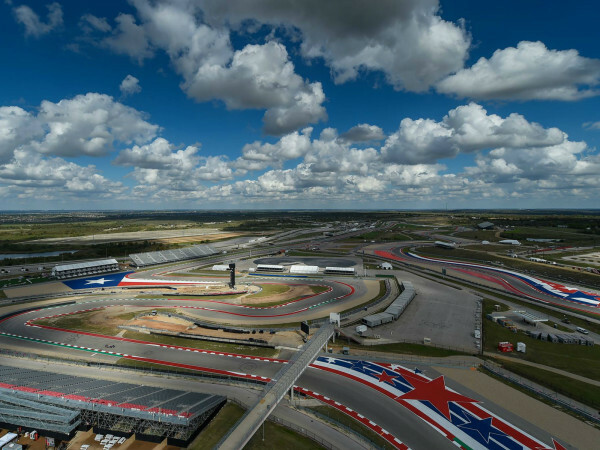 It's roughly a fifty minute drive from central Austin, but can be well worth a trip. Like most relatively popular swimming holes, Krause can get a bit crowded on weekends and holidays. But, unlike Hamilton Pool, there is generally enough space both on the shore and in the water to accommodate the crowds of people looking to spend some time at Krause. 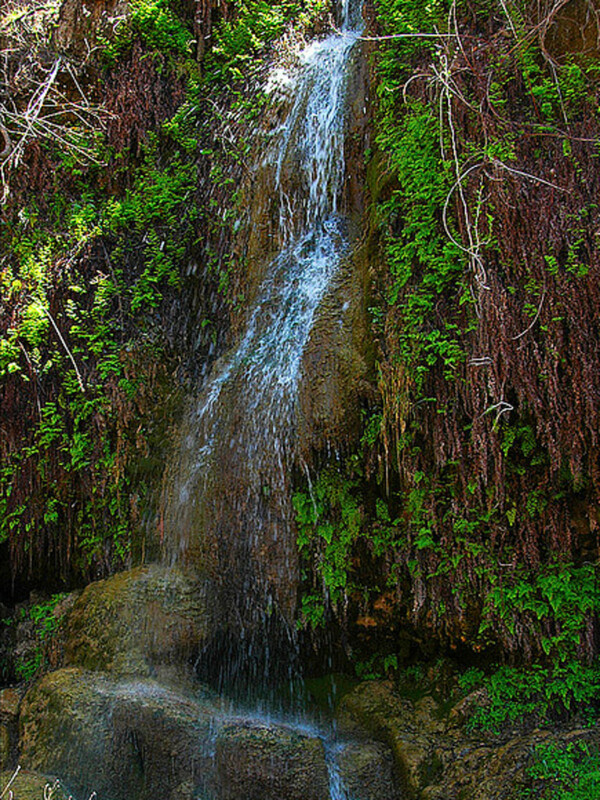 While the website touts 32 springs on the 115 acre property, the main attraction is a swimming area punctuated by a small waterfall and grotto area. This stretch of the spring is a harmonic mix. While large patches are perfect for lazy floating, there is also a rope swing and a few decent spots along a rock face for cliff jumping. Though most of the shoreline is punctuated by rocks and tree roots, the water is refreshing and generally placid. 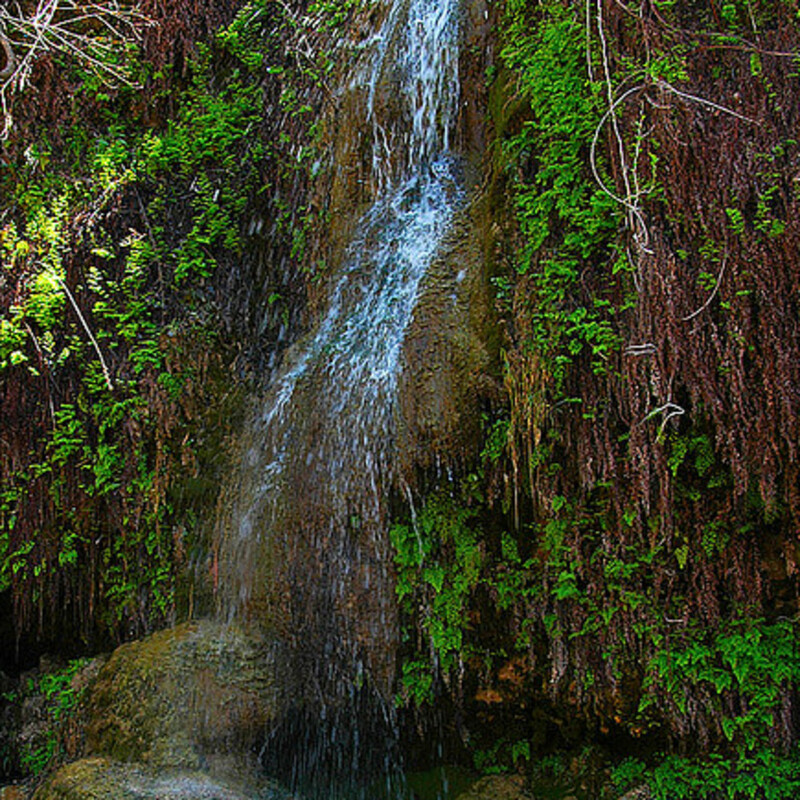 Krause Springs is a picturesque setting. Just be mindful of the area's natural inhabitants. It's not uncommon to see a range of wildlife, from shore-side turtles to a skulking snake. 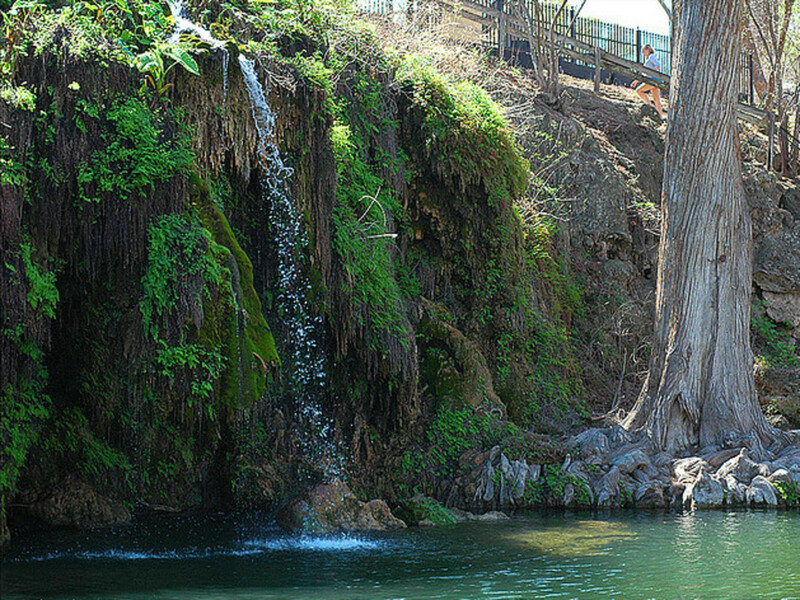 And like most of the natural swimming spots around Austin, getting in and out of the water can be a bit tough due to the slippery moss covering shoreline rocks and roots. Because Krause is privately owned, the rules regarding alcohol consumption in and around the water are a bit more relaxed than most state and municipal swimming areas in the Hill Country. 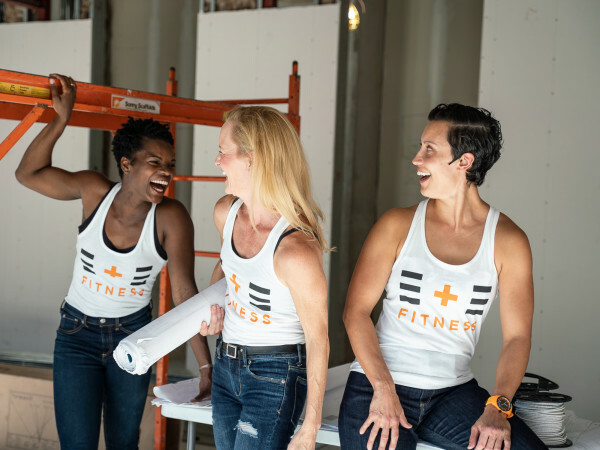 While this is certainly a potential pull-factor, it also means that there are usually a fair amount of people taking advantage of it. As a result, you're likely to experience a bit more boisterous crowds at Krause than say Jacob's Well. If you'd like a bit more private experience, the park is quite large and since the spring feeds into Lake Travis, with a little exploration you'll easily find a quiet spot to set up for a few hours of peaceful solitude. First time visitors are required to sign a waiver before entering the park area. Cost of admission is $6 for adults. In addition to the spring itself, Krause also features a nice “traditional” pool on site. The property is also a well-trafficked camping site and features numerous areas with picnic tables to have a cookout while enjoying the aquatic pleasures. You can find more information about park rules, hours and more, here.